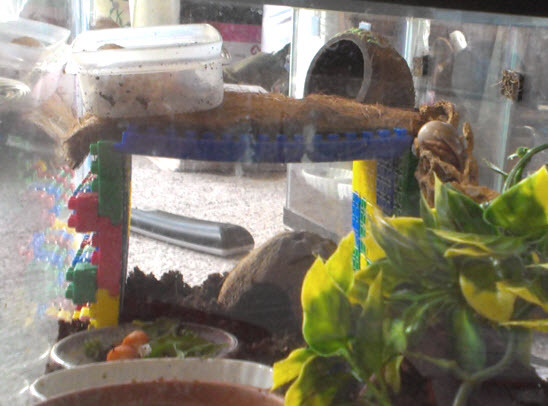 Use Legos to make a second level in your crabitat! Determine the ideal size for the shelf. Assemble Legos to make the platform and two support walls. Consider add additional Legos in a staggered pattern on each of the support walls for your crabs to climb to climb the walls. Attach the platform on the support walls, then lay a piece of coconut fiber on top of the shelf.